RUESSELSHEIM -- The German government's reluctance to approve state aid for General Motors Co.'s Opel/Vauxhall unit could result in Opel plants in Germany losing production contracts, unions fear. Rainer Einenkel, workers' leader at Opel's plant in Bochum, Germany, said German Economy Minister Rainer Bruederle is "always looking for excuses to avoid making a decision" on GM's request for state loan guarantees. "If a decision on this aid is not made very soon, Germany won't get the production contracts that are still open for the Astra and Ampera," he said. GM has asked European governments with Opel factories for loans or loan guarantees toward the 3.3 billion euros ($4.5 billion) it says is needed to run Opel while the money-losing division is restructured. Germany, where Opel is based and home to half of GM's 48,000-person European work force, is being ask to contribute about 1 billion euros. Without an appropriate signal from Berlin, GM will make its biggest investments elsewhere in Europe, Einenkel said. Meanwhile, Opel CEO Nick Reilly is seeking engineers to drive forward his ambitious product offensive. 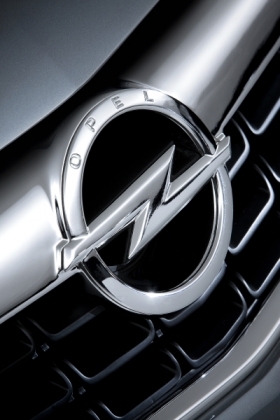 By 2014, he wants to renew 80 percent of the Opel lineup. The company recently announced that it planned to hire up to 250 engineers. Klaus Franz, Opel works council chairman, said that figure is much too small. "We need another 500 new engineers over the course of the year. Otherwise, the programs cannot be realized," he said. GM has said that new products for the European market will be developed at Opel's technical center in Ruesselsheim, Germany, instead of being spread globally. Ruesselsheim is expected to win development contracts for the new Corsa and Zafira. GM's broad electrification strategy also is providing a growing number of contracts. "That's why we will need significantly higher number of engineers at year's end than we have today," Franz said.